Education is at the heart of Symphonia Academica's ethos. From the outset, Symphonia Academica has had education at the heart of its ethos. 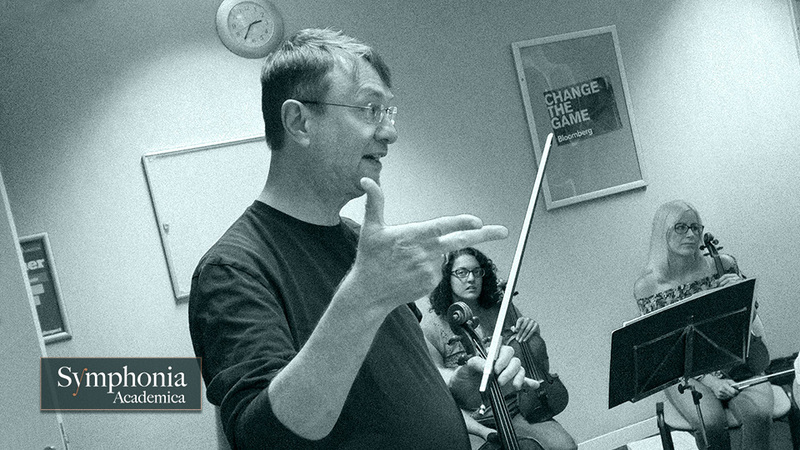 Whilst working with school age children, university students and adults from various creative backgrounds, Symphonia Academica has actively pursued ways of communicating its love and passion for classical music, in its widest form, to others. To entertain, stimulate and provoke interest has been the goal it has successfully pursued. Together with its highly imaginative and experienced animateur and composer-in-association, Richard Sisson, the ensemble has created various education projects, frequently linked with the ensemble's own performances. The ensemble has worked with various schools, music hubs, universities, festivals and local councils to create ways to musically educate local communities.For more information please click here to contact us.